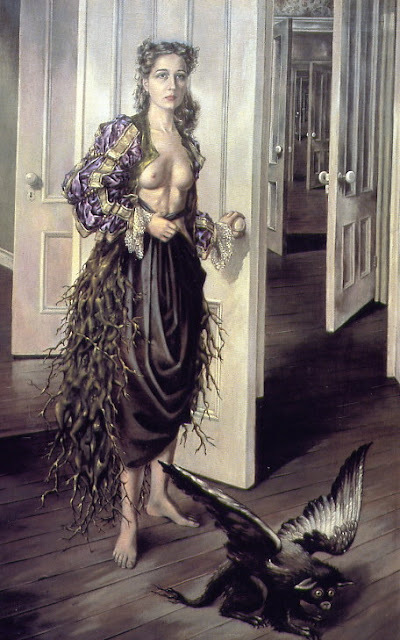 Had an adventure today: Went to the museum by myself, LACMA, for In Wonderland, which featured surrealism by women artists. Saw . . . so much. To get home, took the 702 Rapid Transit West, straight down Wilshire. Stood in front and talked to the chatty bus driver. Windy, bright day. Liked my hair whipping around. Happy alone. This piece is by Dorothea Tanning. I like all the doors and everything in the picture.